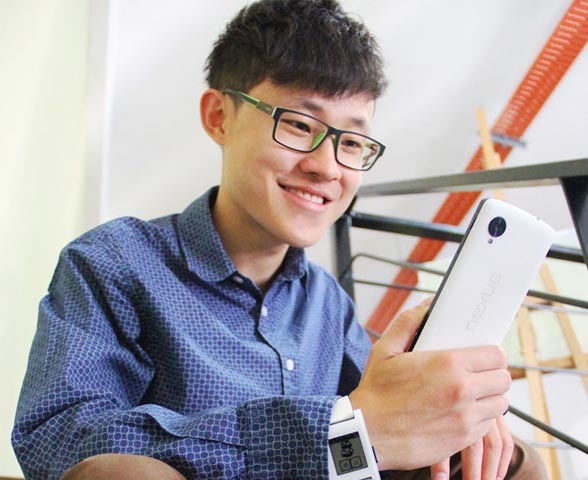 The University shares the joy and pride of its Electronic and Communications Engineering student Loh Hong Khai from the Faculty of Engineering and Science when he was successfully selected out of 50,000 applicants worldwide to become one of the six youth Explorers in the Bosch World Experience 2014. Loh is also the only representative from South East Asia. The other selected Explorers were from Germany, USA, Brazil, Netherlands and China. 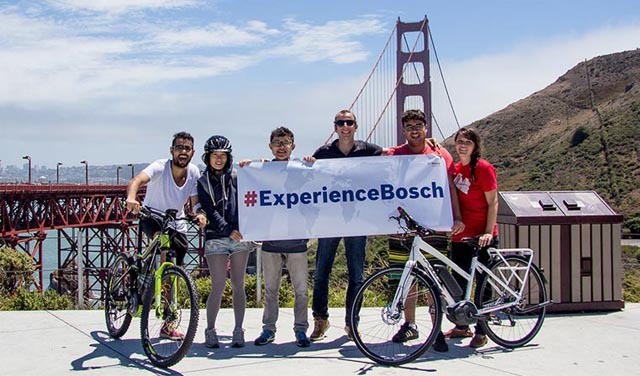 Hong Khai and the other five successful applicants from around the globe had the golden opportunity to participate in the Bosch World Experience 2014 which is a round-the-world adventure to experience first-hand the Bosch technology. 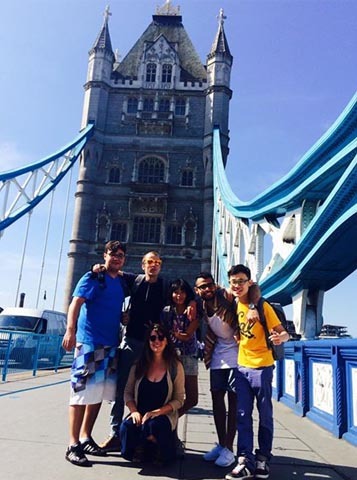 They toured six countries across three continents in a span of 16 days from late July to early August 2014. The Bosch World Experience 2014 took Hong Khai on a technology galore journey to experience the marvels of Bosch pioneering technology in major cities with iconic structures and inventions such the impressive Tower Bridge in London, the 100-year Panama Canal in Panama, the driverless car in San Francisco, the towering Shanghai World Financial Center and electric cars in testing sites at Singapore. 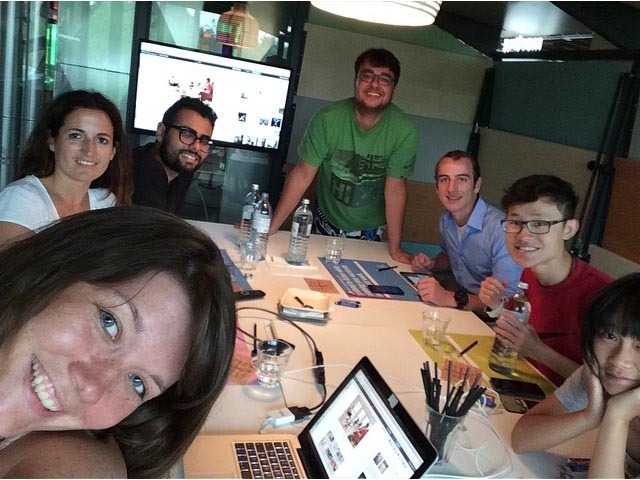 Hong Khai added further, “I learnt so much from the Bosch World Experience 2014. The fact that Bosch is active in every continent in so many fields of science and technology made me realize the important role that Bosch plays in world development. I have come to realize the bigger and more important role engineers play in technological development and how this impacts the society and the nation.” says Loh. He also valued the experiences and the knowledge acquired on different nations and their cultures including the friendships made with fellow Explorers. Loh, who was also the Bayer Young Environmental Envoy 2013, added that it pays to do more homework about Bosch’s corporate background and be crystal clear as to one’s role in helping society. Such preparation helped him well in the selection interview as he could articulate better with the prior knowledge. 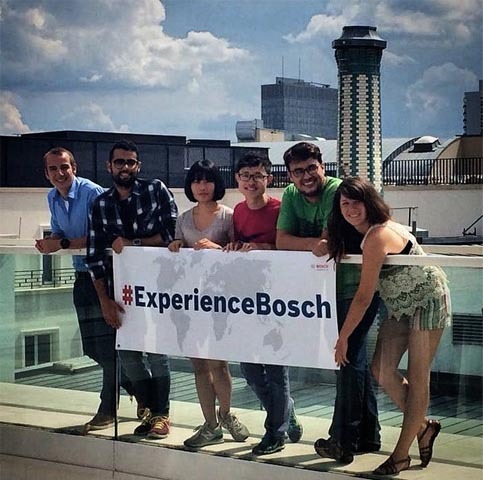 For the last leg of the tour, the Explorers were flown to Berlin, Germany to know more about Bosch and its founder as well as the city of Berlin. The Bosch World Experience 2014 is funded by Robert Bosch Stiftung Gmbh (Robert Bosch Foundation) which was established in 1964 to represent the philanthropic and social endeavors of the founder, Robert Bosch. It funds its own and third party projects in the fields of international relations, education, society and culture, and health and science.